The ultimate solution to driver fatigue is coming by the way of driverless vehicles. Until then, drivers must understand the risk and the prevention techniques to stay awake behind the wheel. To understand the risk, consider that drowsy driving caused 824 deaths in 2015, according to the National Highway Traffic Safety Administration. WSDI offers a Driver Awareness Program if you are interested in learning more about the issue and best practices to prevent it. The following drivers saftey awareness tips will provide some immediate guidance for avoiding driver fatigue. 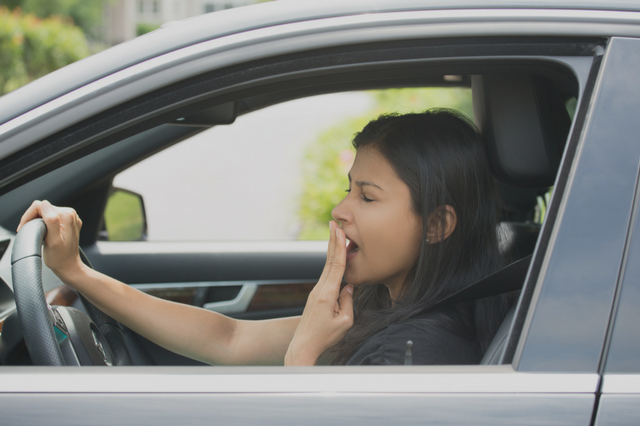 When it comes down to it, getting the proper amount of sleep is the best defense for drowsy driving. Research indicates that lack of sleep impairs judgment and reaction time, similar to alcohol. Plan ahead and get at least 6-7 hours of sleep before a big drive or take a pre-drive nap. Speaking of naps, they are not just what grandpa does during a football game. They are an anatomical weapon for combating drowsiness while simultaneously improving brain functions. A 10-to-20 minute nap is the perfect length to boost alertness. Sleeping in the car works out nicely as the slightly upright position prevents deep sleep. If you are getting tired, pull over into a safe area and take a few minutes to rest. Caffeine: Coffee, energy drinks, caffeine pills - the options are endless and the positive effects are scientifically proven. For optimal visual attention improvement and cognitive processing, non-habitual caffeine users should take a 200mg of caffeine and habitual users should take a 400mg dose. Sunflower Seeds: Chew, crack, and spit seeds to keep your mind occupied. If you do not have or like seeds, try chewing gum instead. Fresh Fruit: Instead of your usual candy fix, pick up your favorite fruit. The natural sugars can deliver a boost without the crash. Turn on the cold air: Prevent a comfortable sleeping environment by keeping the air cold. Roll the window down: Fresh air can provide a temporary boost. Listen to loud music: Jamming, singing, and head banging can keep you awake - but remember, you are driving! *These suggestions do not have significant scientific backing. Use them sparingly. The non-technical solution of adding a co-pilot or two to your road trip is just as effective. It provides another pair of eyes to watch for signs of sleepiness. Keeping a steady flow of conversation going and trading driving responsibilities are common sense, but useful options for safety. Additionally, you can play road games like "I Spy" or the alphabet game. If you do not have a passenger, you can still use the buddy system. When you are driving alone, call a good friend and watch the miles go by, but be careful not to get too distracted from the road. Be always cautious to your parking, and get parallel parking tips. The Russian company StopSleep has produced a device that attaches to your fingers and has eight sensors that measure electrodermal activity. The alarm buzzes when you show signs of sleepiness. Similarly, there are over-the-ear devices available with the same purpose. These devices sense when you nod off and vibrate to keep you awake. The issue with these devices is they only activate when sleeping behavior is detected e.g. dosing off. If you are driving on the highway, just a few seconds of inactivity could have serious ramifications. Now that you understand the risk of driver fatigue and how to address it, you are ready to make safer decisions on the road. Do not underestimate the power of sleep or companionship, and try out technical solutions if needed. To sign up for a driver's education course at any of our Coloroado locations in Littleton, Grand Juntion, Denver, or Parker, click here.